allow large audiences to see the 'Ride With Your Mind' approach in action.Sometimes Mary works solo, and sometimes in conjunction with other world-class co-presenters. She frequently collaborates with US international dressage rider Heather Blitz, and equine biomechanics researcher Dr. Hilary Clayton, from Michigan State University. .OUR HOME BASE IS OVERDALE EQUESTRIAN CENTRE IN THE COTSWOLD HILLS, OXON, UK. +44 (0)1993 831193 or rwymadmin@hotmail.co.uk. Find UK course dates at Overdale + booking form under CALENDAR. RIDERS SO OFTEN TELL US THAT THEY HAVE 'LEARNT MORE IN THE LAST 4 DAYS THAN THEY HAVE IN THE LAST 4 YEARS'.... WHY NOT JOIN THEM AND BEGIN YOUR RIDING REVOLUTION! 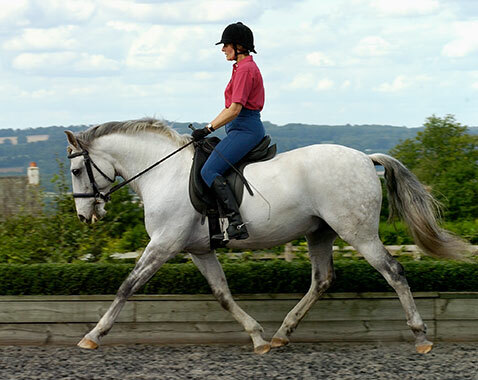 Currently this shows a series of short articles with tips on riding lazy and whizzy horses. Keep in touch as this evolves..